What's the World's Biggest Vehicle? Humans first rose to prominence because we were adept at something that set us apart: we were tool users. That hasn't changed! Due to technological leaps, we can now build massive structures, in part due to the huge vehicles we've built over the years. But what is the biggest vehicle in the world anyway? 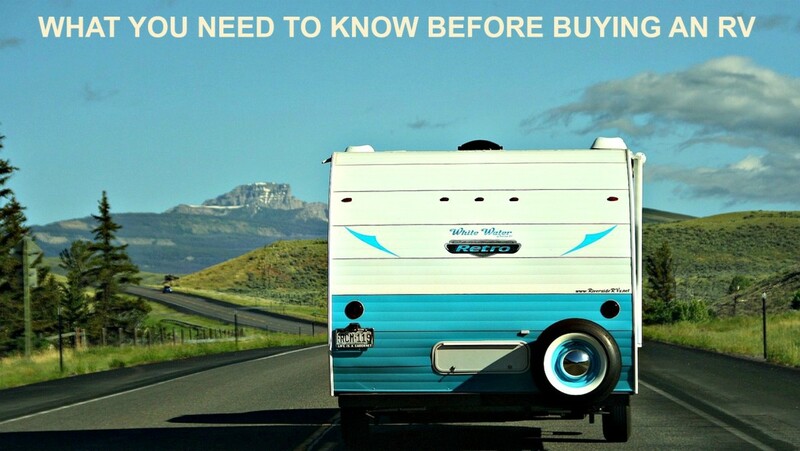 We're not talking about monster trucks or double-decker buses. There are some truly massive machines out there, and they're usually built for a specific purpose. It's hard to say authoritatively what is the largest vehicle on Earth, mostly because people have different definitions of what a vehicle is, but we can definitely point to a couple of massive examples! 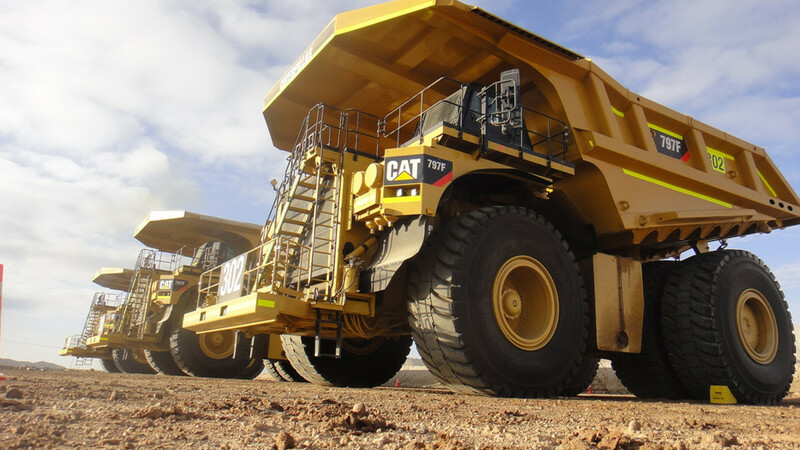 Want to check out some of the world's largest and most massive vehicles and mobile machines? This article lists five giants that you definitely need to see to believe! If you've ever visited a modern mine site, you'll be flabbergasted by the massive scale of the vehicles and diggers used on site. Some of the excavators are so gigantic it's hard to comprehend the scale. The Caterpillar 797 is a huge, two axle, off-highway hauling vehicle that's purpose is to haul huge loads of ore over long distances. They're built just like you'd expect a pickup truck would be, just on an immense scale. Each wheel is roughly twice the height of a fully grown man, and the tires are incredibly thick to handle the weight requirements each vehicle must be able to haul. Each tire is about 5,300 kilograms, which is over 11,000 pounds! And each 797 requires six tires in total (two in the front and four in the back). 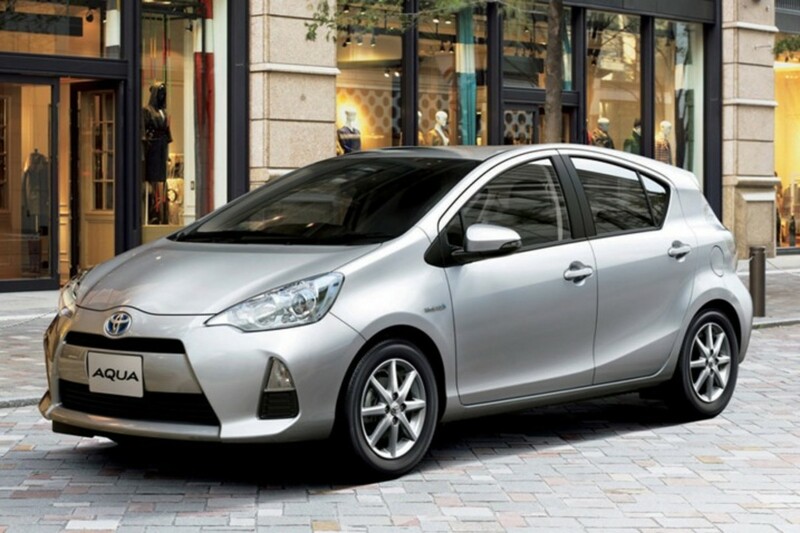 The engine is enormously powerful, as you'd expect, with massive torque and huge amounts of horsepower. 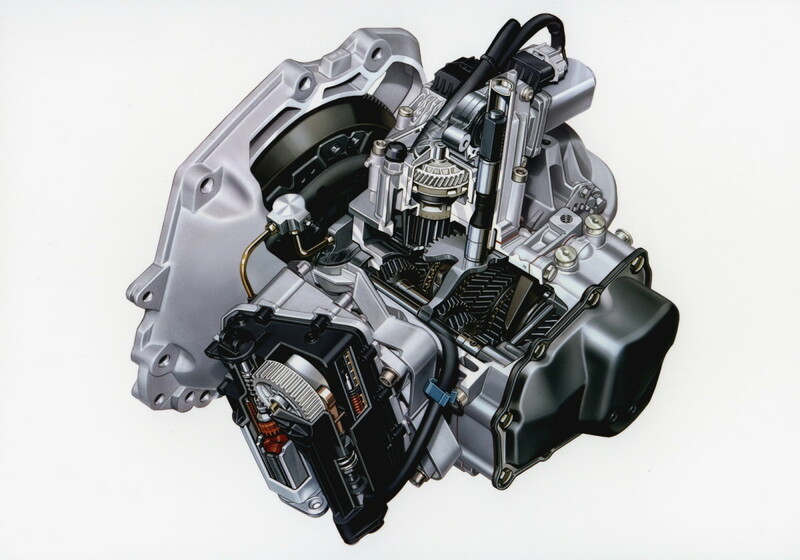 Each 24-cylinder turbo diesel engine is capable of at least 3,400 horsepower, and consumes a huge amount of fuel to operate. The fuel tank can contain 1000 gallons of diesel per fill-up! These vehicles are way too heavy to operate on normal roads and highways, so they must be transported to the job site in pieces on flatbed trucks. They can carry and dump up to 360 tons of payload per trip, so as you can imagine they make mining a lot more efficient. The Caterpillar 797 is one of the world's largest vehicles; if you ever feel inclined to drive a dump truck that's bigger than a house, this is probably your best bet. One of the biggest vehicles ever constructed was the Gustav Gun, a series of guns (only two were produced) by German forces prior to the start of World War II, and they were incredibly huge. The vehicle itself had to be huge, because the shells it fired were among the heaviest and largest calibre ammunition ever produced. The gun itself weighed in at 1,330 tons, and it was around 47 metres in length, and about 18 metres high. To put that in perspective, that's about as long as four standard city buses, and about as high as a four storey building. This gun would dwarf a man, and it require railway lines to move about. The Gustav gun required a small army of men to operate, and it could really only fire between 12 and 14 shots per day, because reloading was a major process. 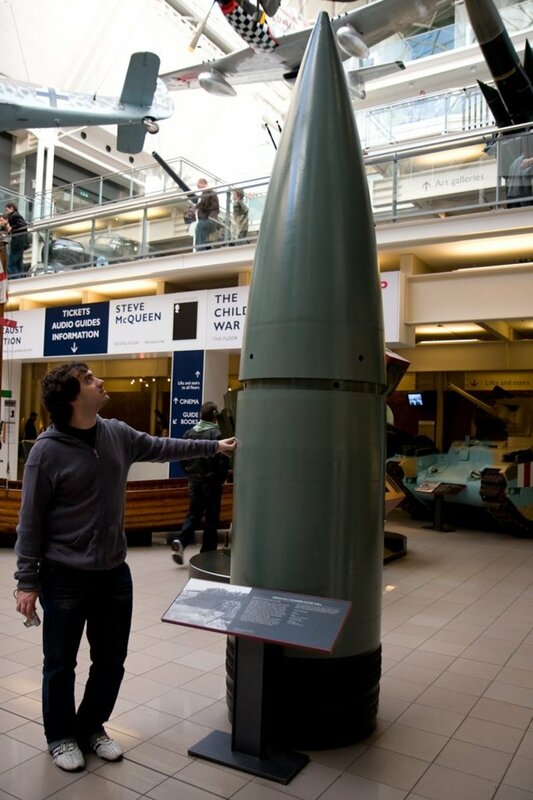 The shells were 800 caliber each, and each shell weighed over 10,000 pounds! They could reach a distance of up to 45 kilometres away, and when they impacted they would leave an impact crater that was 9 metres (27 feet) across! 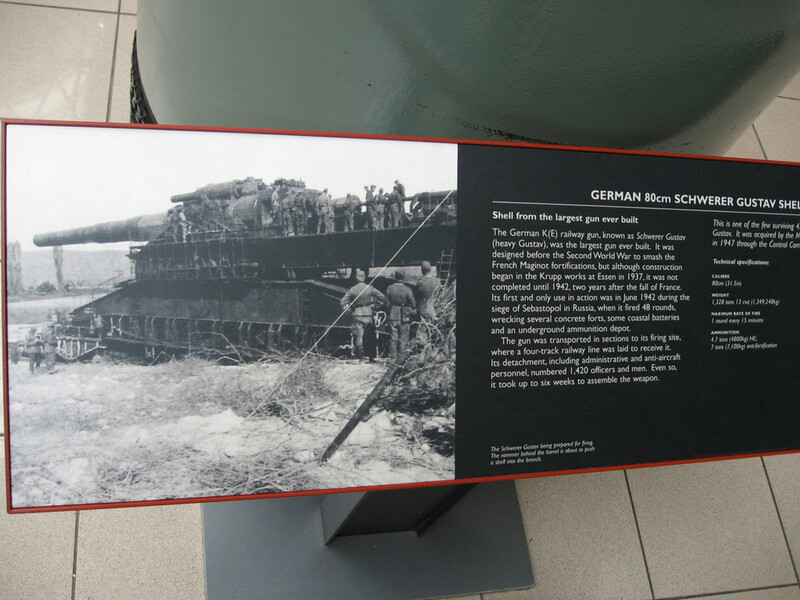 Despite their devastating effectiveness, the Gustav guns (named Schwerer Gustav and Dora) hardly saw any action. They were originally designed to take out the French Maginot Line of defences, but that proved unnecessary in the end. Instead, they saw a lot of action against the Russians in Sevastopol and Stalingrad. They were dismantled or destroyed by the end of the war. Got a big hole to dig? A really big hole? You just might want to look around for a Terex RH400, probably the world's biggest excavator and one of the biggest land vehicles on the planet. 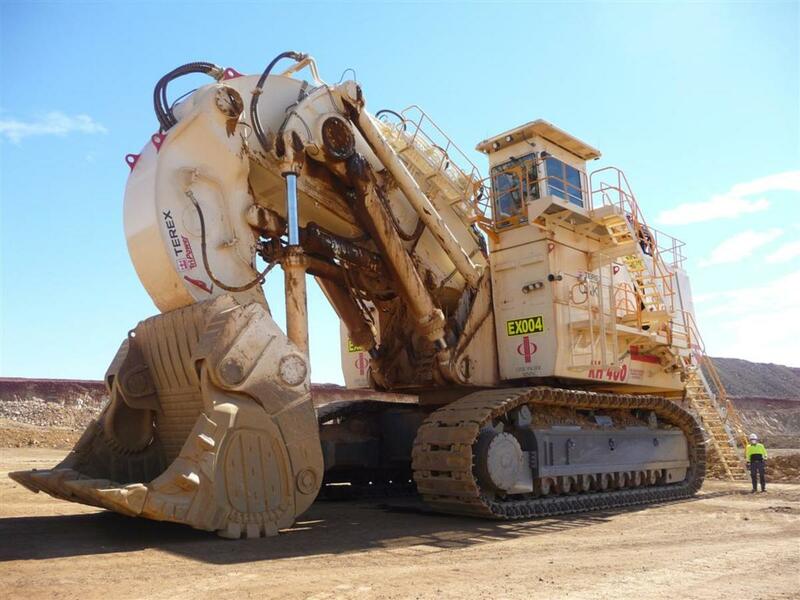 It's a digger that's so big; it could probably fit a typical excavator neatly inside its jaws! It's built for jobs where huge amounts of material must be shifted, and it's capable of moving up to 10,000 tons of earth per hour. It can be fitted with a large scoop on the front to push earth around, or it can have a claw to excavate, dig, lift and drop. It sits on 28 feet of caterpillar track, and it's 33 feet to the top of the cab. Its arm can extend much higher than that, however, and it can reach up to 62 feet in the air without breaking a sweat! It runs on a 4210 cubic inch turbocharged diesel engine that pumps out a baffling 4,500 horsepower, and its fuel tanks can hold up to 4200 gallons at a fill-up! Be thankful you don't commute to work in this bad boy! So if you need to carve a really huge hole in the earth, this is a good place to start looking! There have been a few ships that were a bit bigger (the Seawise Giant, for example), but they aren't floating anymore. The Maersk Triple E, on the other hand, can be found just about everywhere, carrying containers laden with cargo across the globe. The Triple E is a gigantic construction, and it's just about as long as the Empire State Building is tall! The deadweight tonnage of these ships is 165,000 metric tons, and they're the size of a small city. At the moment, four of these ships are in service, but there will be twenty in total constructed for the first build run (by Daewoo). Despite their massive size, these ships are actually built to be remarkably fuel efficient. They use twin diesel engines that recover waste heat and convert it back into useful energy for the ship. The carbon footprint of these ships is 50% smaller than similarly sized vessels too. 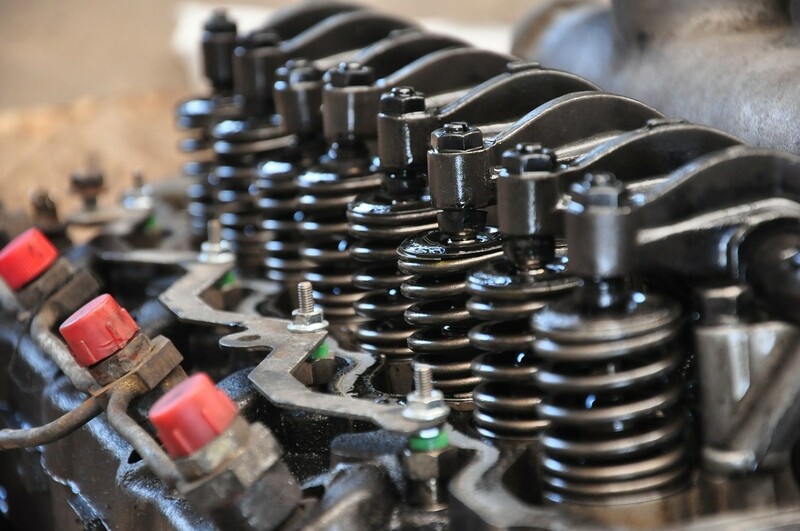 Despite the efficiency, the engines still consume about 21,000 gallons of diesel fuel per day! (And that's considered very efficient for the vessel size). That huge size comes in handy. 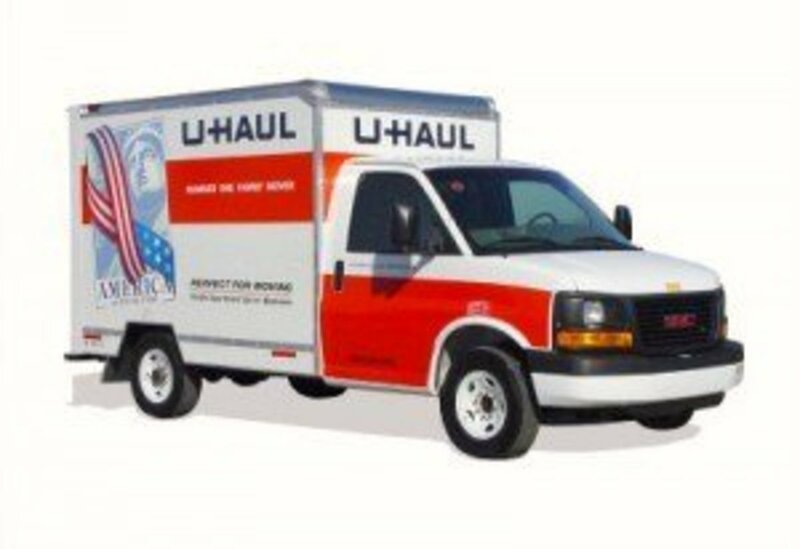 Fully loaded, it can carry over 18,000 20-foot cargo containers! As consumer demand grows, it's useful to have huge, fuel-efficient vessels like this carrying freight across the oceans. 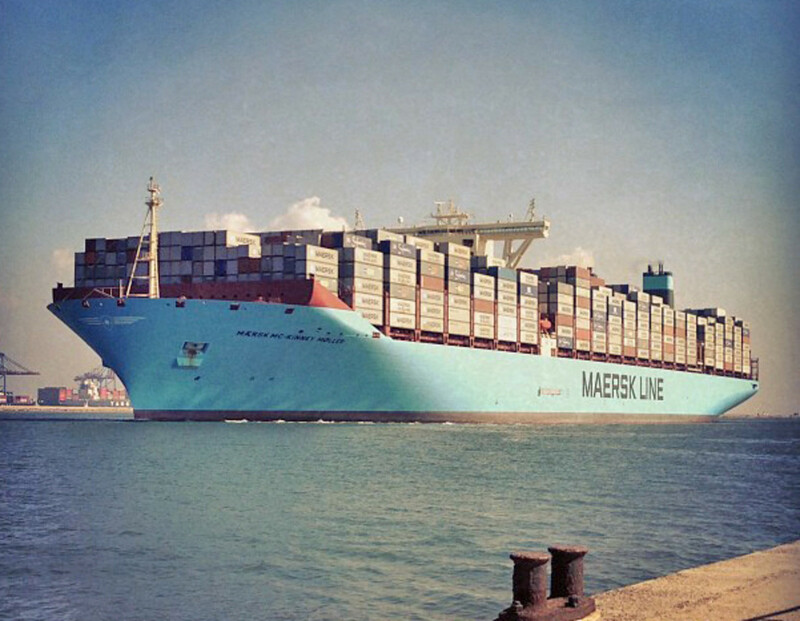 The Maersk Triple E is among the largest vehicles on Earth, and they're truly impressive to see in person. 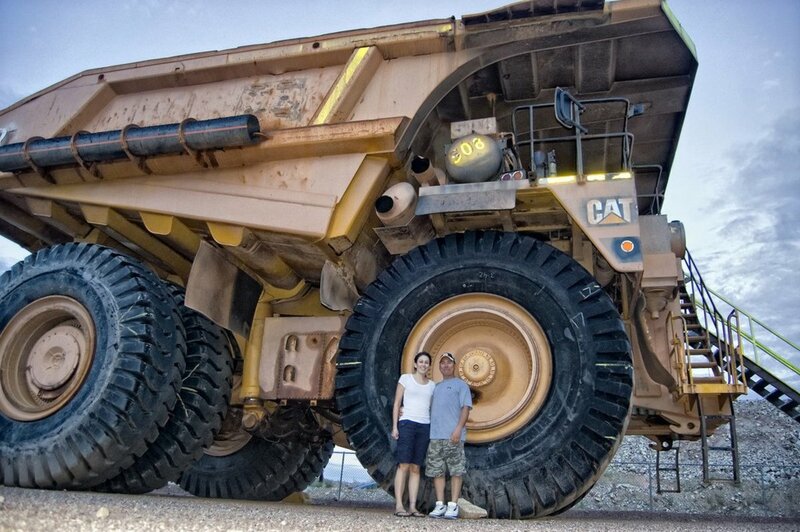 The Bagger 293 either owns or shares a few records for the largest terrestrial vehicle in the world. It's massive on a skyscraper type scale, requiring a small army to transport and operate. 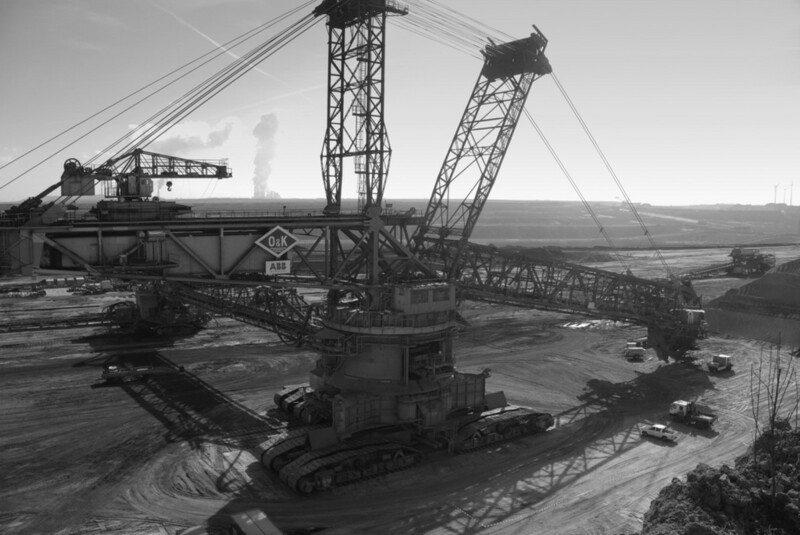 It's built with the purpose of transporting mountains of earth and rock for mining operations. It weighs in at an astounding 13,500 tons. That's equivalent to around 71 blue whales! The machine can dig out 240,000 tons of earth per day. That's like moving 2/3 of the Empire State Building each and every day! The central digging component is a massive circular shovel type apparatus, similar to a water wheel, which constantly churns, lifting the earth up to a conveyor belt system. It moves around by using a series of caterpillar type tracks, which are spread out evenly so that the huge weight of the structure doesn't push the tracks down into the earth. There are 12 caterpillar tracks in total under the main chassis, and more on the far end as well. It can't run on its own, and requires an external electrical hook-up to be powered. It's mainly used in strip mining applications, particularly in the extraction of coal. It's huge and probably a contender for the largest vehicle in the world. You won't see many of them kicking around, but they're jaw-dropping! This is just a handful of the massive machines crawling and sailing around our world today. It's really awe inspiring to notice all these big machines and see how far we've come. Really puts that Hummer H3 in your parking garage to shame, doesn't it? Thanks for reading! 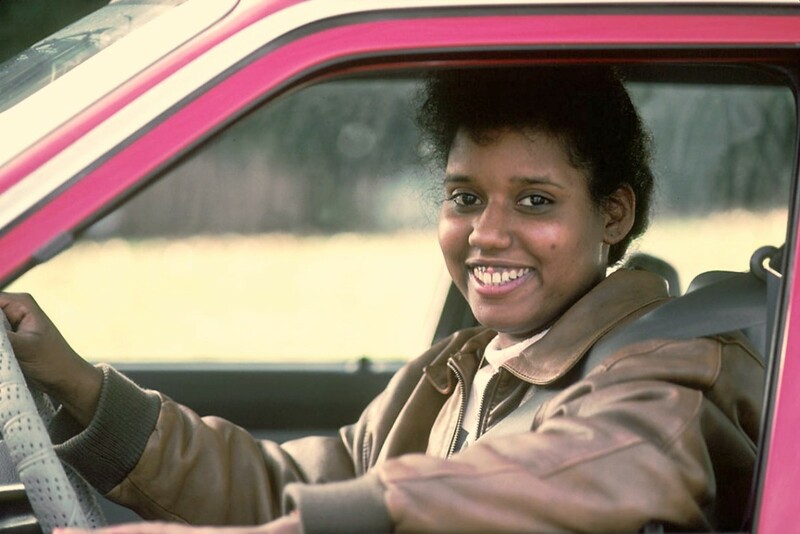 What Is a Semi-automatic Transmission? Any gigantic vehicles that I've missed?